This listing is for one (1) or more Sandstone auto car cup holder coasters. They are round with divot, and measure approximately 2.56" x 0.30" - the more you buy the more you save! Our Bling Life sandstone car coasters are a great way to customize your car with your own style. These high quality sandstone car coasters make the perfect gift for new drivers, new car owners, friends and family members, for any occasion. 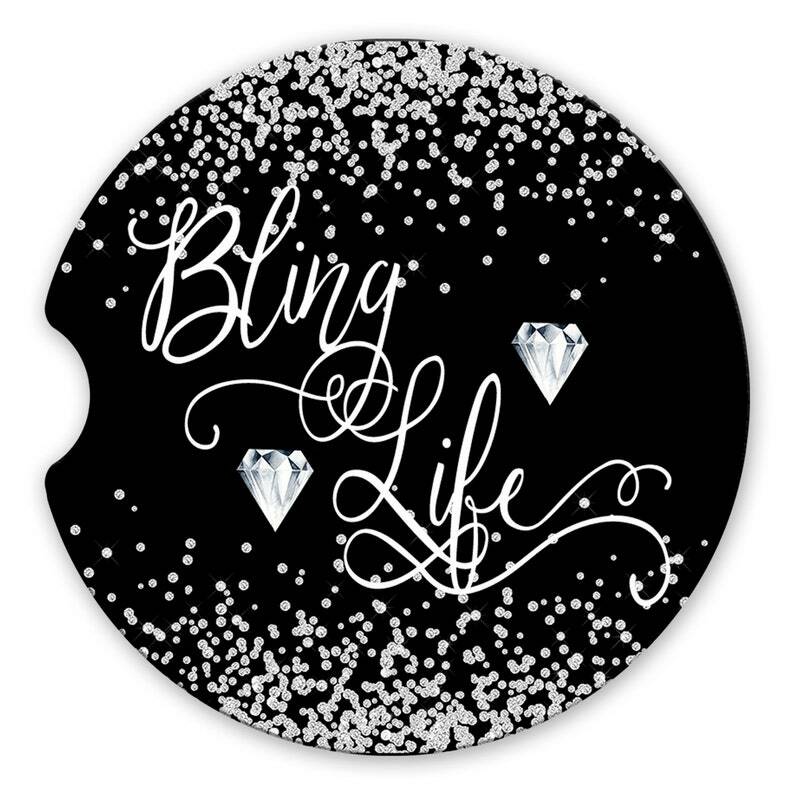 DESIGN: Bling Life in script lettering with printed diamond confetti over a black background. There are no physical diamonds or crystals on this product. Each coaster is designed and embossed by hand, one at a time, here in my home studio in Mississippi. We use high quality ink and professional printing methods to ensure a superior product. fast . fab. five star item.